Why Is It Important To Have A NATE Certified Technician Servicing Your Home? 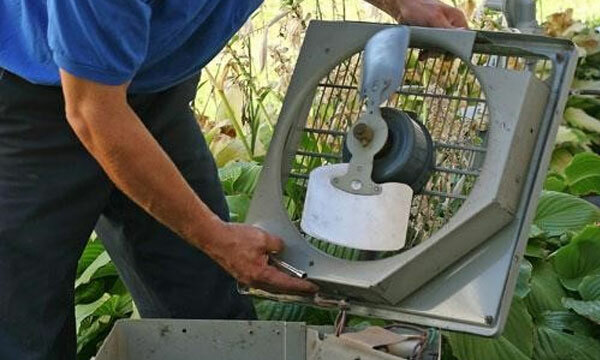 Repairing, installing or maintaining your HVAC system is not a task that should be taken lightly. If you want your HVAC system to give you value and save energy, the installation and repair processes must be undertaken by a NATE certified technician. There are so many benefits that are associated with NATE professionals and most of them are all related to quality installations and repairs of the HVAC system in your home. NATE is the abbreviation for the North American Technicians Excellence, a non-profit organization that trains students on the fundamentals of heating and cooling technology and all the other aspects of air conditioning. They also examine the skill and knowledge of technicians in HVAC systems and issue them with NATE certificates. The certificate is proof of excellence in HVAC systems. If you are looking for high quality HVAC installation, repair or maintenance, using NATE certified technicians is a very good idea. Remember, such technicians are always very knowledgeable and have the capacity and ability to deliver high quality services without necessarily charging a lot of money. It also very vital to do everything you can to ensure that your HVAC system is safe. The only way that can be achieved is through proper installation and maintenance. With a NATE certified HVAC technician, you can be able to get the right installation and maintenance for your HVAC system. This will ensure it is safe all the time. Whether you have an old or new HVAC system, the bottom line is, it must be handled with a lot of care. NATE certified professionals can be able to help you with that because they know how to handle your HVAC correctly. All of the HVAC installation and service technicians at Zodiac Heating and Air Conditioning are NATE certified and receive continued training on the industry’s leading techniques. We are dedicated to offering reliable service and superior customer care, and request client feedback after each visit to make sure our clients are happy with the service. Call us to speak with an expert and get a free estimate on a new installation.